19’ - Gashi pinged a ball off Jermaine’s back, Lodeiro led a break, Gashi fouled him, on we go. Appropriate microcosm so far. 20’ - Lodeiro’s FK is cleared out. 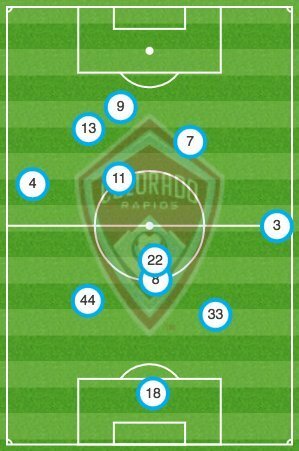 The Rapids defend set pieces like… something that defends something real well. 22’ - Roman Torres shoulder barge/successful dispossession on Jermaine Jones klaxon. 23’ - Oh boy, near miss from Colorado. Kevin Doyle gets a clean cross off but nobody’s inside the 6-yard box to greet it. 25’ - OH MAN. Stef Frei palms out a corner in traffic and Jermaine Jones’ half-volley is just inches high. (Frei was being held). 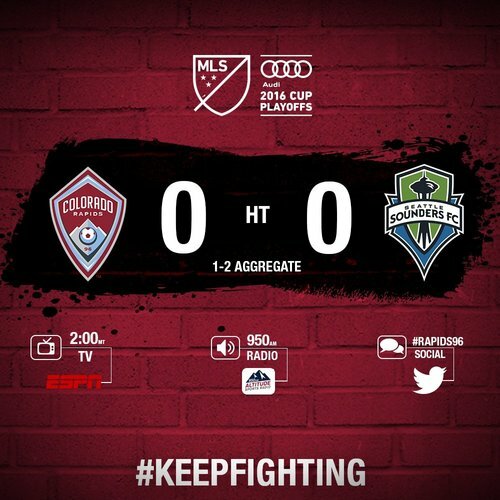 32’ - Last minute defending from Mears kills off another half-chance for the Rapids. Seattle… not doing a ton to ease your nerves. 35’ - AGGGGGH. Morris frees Ivanschitz in the box, but the Awesome Austrian opts to cross instead of shooting. Had a lane. 36’ - Better from the Sounders here. First sustained bit of possession. Need more MALICE in the box, though. 37’ - Gashi and Torres get into some #handbags after they collide in the box following a Gashi undercut. 39’ - Valdez gets into some space in the final third, but no supporting runners. 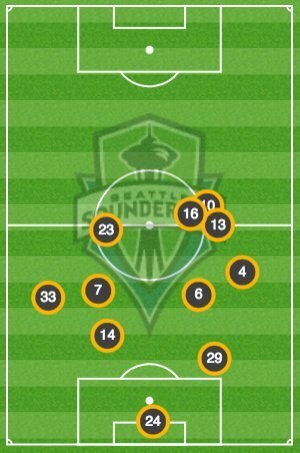 Not many Sounders committing to getting forward today. 40’ - Free kick awarded at 25 for a Mears foul on Jermaine. Gashi and Torres have another fine chat about the robust Colorado economy. 41’ - Gashi’s FK is slammed into the wall. His 2nd attempt is slammed into the wall. Powers’ 3rd is wide. THE LINE HOLDS AND OTHER PHRASES. 42’ - Morris springs up after holding his left knee following a hard collision. Tough half for him so far. Illness clearly affecting him. 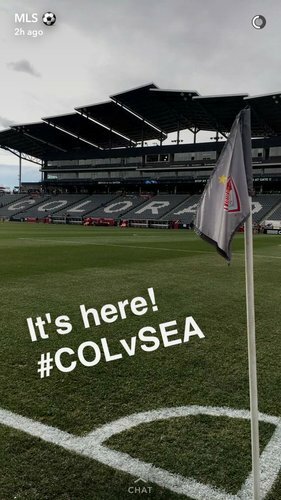 HT: @SoundersFC and Colorado scoreless at halftime. 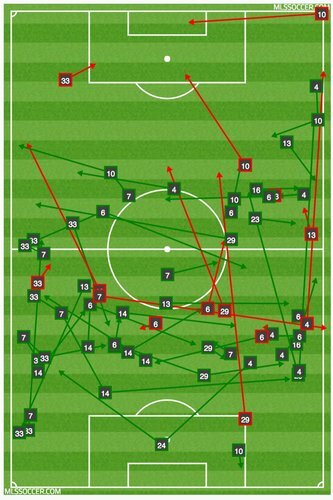 No Rapids goal is good news for Seattle, but Rapids were on top that 45.